Hey everyone! Bet you didn’t think I’d be back so quickly with another blog post already?! Well I am, and I’m excited to share my first review of the year. Before Christmas, I received Skin Homework’s 7-step Face Clay Treatment, the ‘Bounce Back Book‘. 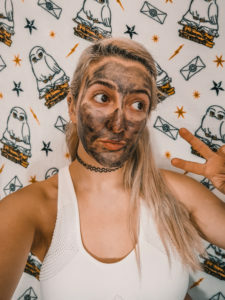 I was really excited to try it as I have always loved a good face mask. In this book, there is not 1 but 7 steps! 7 different masks for you to try and pamper yourself with! Overall I loved this book/ treatment. I didn’t realise how much I would love it! 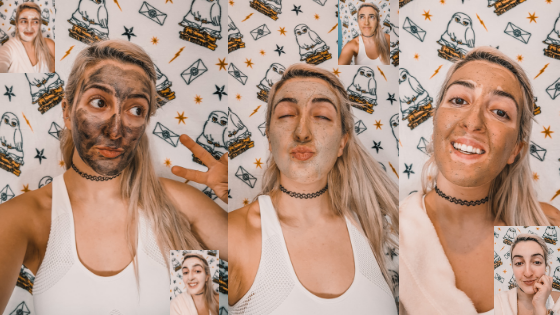 All the steps are nice but my particular favourites are step 1, the ‘Lost in Deep Space’ peeling face mask and step 7, ‘Sleeping Beauty’ leave on mask. 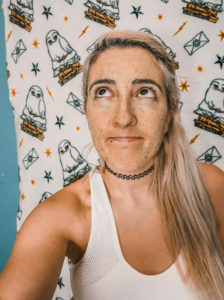 An amazing peeling mask. I loved two things about this mask. 1 – it has glitter infused so it really does look like space as you squeeze it out of the container. 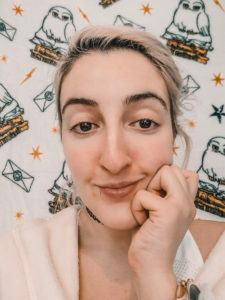 2 – it dried pretty quick for a peeling mask! There’s nothing I hate more than a peeling mask that is still not dry after 30 mins! 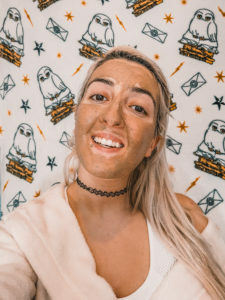 This mask is an exfoliating mask. The only thing is, if you have very sensitive skin, this is a rather tough exfoliator, so just be prepared. 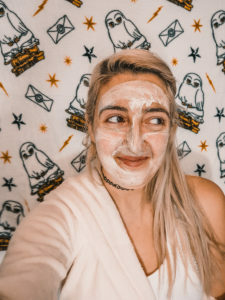 I found this mask to feel very refreshing during and after..
Firstly, I loved the smell of this mask! I think you can get the idea of this mask from the name 😉 I found this mask soft and quick drying. 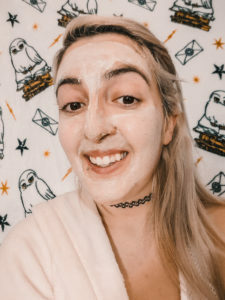 This mask is a drying clay mask. 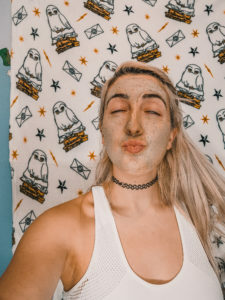 Personally, I prefer to keep my clay masks wet for as long as possible in order to avoid harsh scrubbing. This mask came off quite easily with warm water and simply using my hands! This mask also smelled really nice! I suspect it’s the Vitamin C.
I loved this mask! Firstly, the fact that it is pink obviously made me like it before I had even put it on my skin (lol). This mask is so hydrating! There is no way you’ll use it and feel like you have dry skin within a few hours! I love love love this mask even more! This is more of a serum than a mask and is a great finishing step when finishing up. It feels so smooth and hydrating on your skin, but is also light and doesn’t feel like it’s blocking your pores! So there it is, the 7 steps and what I thought of each! I have to say this would make a lovely gift! There is plenty in the pack so you will get 2-3 usages out of the book! The overall process is suggested to be spread out over the course of 7 days, thats a whole week of pampering!! This would make a great gift for Galentines if anyone is doing that this year!